You gain 22,799 points [?] Loyalty program points By purchasing products included in the loyalty program, you gain points, which then can be exchanged to other products available in the store or for a permanent discount. Only available to registered customers. Boxy Business Notebook. A vivid, high-quality display? 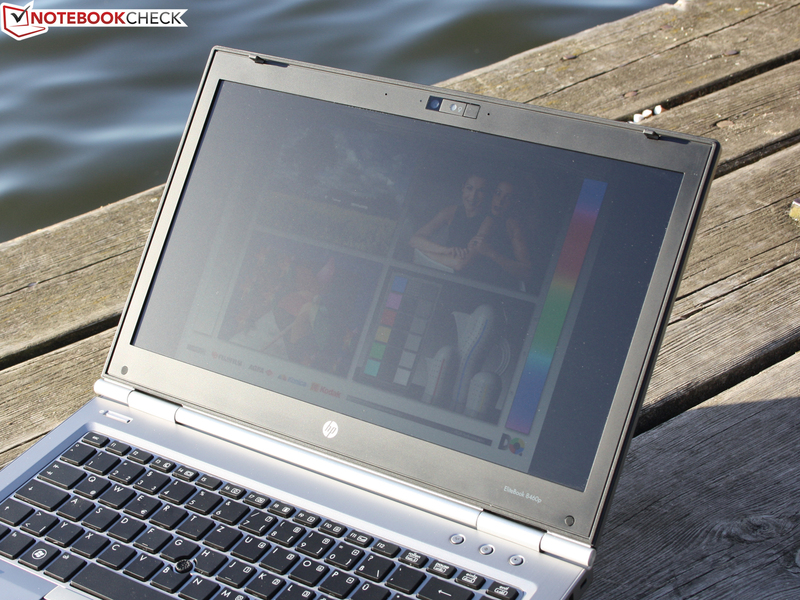 The Elitebooks constitute the best that HP has to offer in terms of business laptops. Can the 2011 series maintain this good reputation or even improve it? 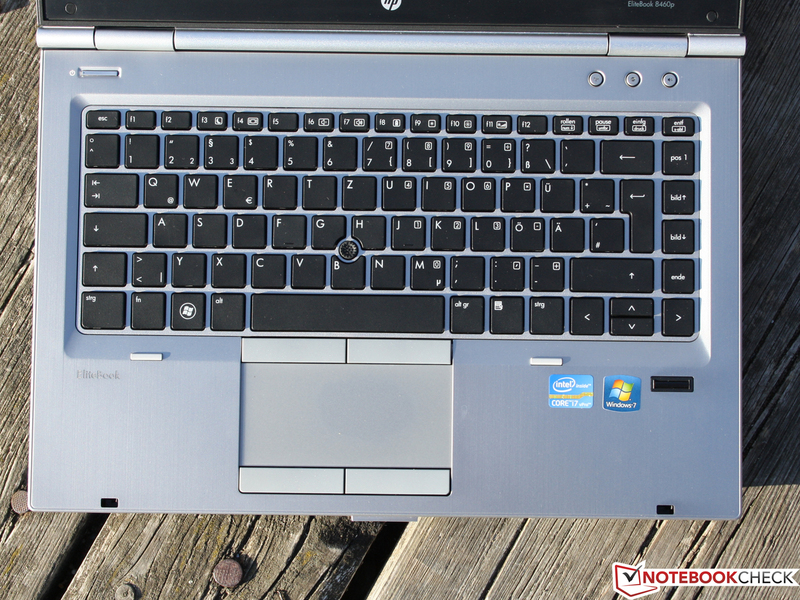 HP EliteBook 8460p LG744EA: Can this 14" business laptop measure up to the highest standards on the go? The EliteBook is for HP what the ThinkPad T-series is for Lenovo. Above and beyond "Essentials" and "ProBooks", we find the premium segment of business laptops with the highest-quality craftsmanship and newest technology. And as far as the technical specs go, the EliteBook 8460p here is quite appealing with its Core i7-2620M CPU and on-board HD 6470M graphics card as well as its high-resolution display (14", 1600x900). 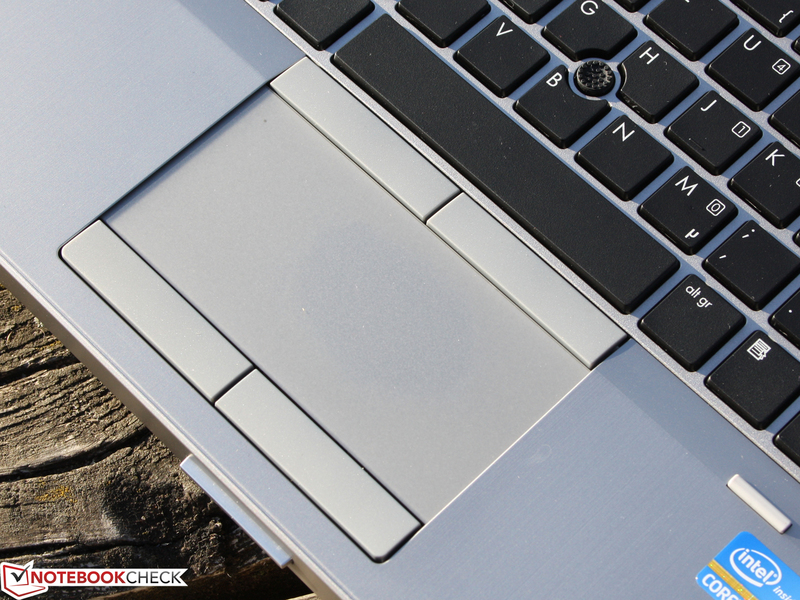 But is the EliteBook quite as pristine in its performance as its sleek matte aluminum finish makes it out to be? Not quite. A few shortcomings keep this premium-grade business laptop from achieving a rating of "Very Good". While consumer notebooks tend to follow the trend of becoming as light and thin as possible, HP takes a different approach and reinforces the EliteBook with more material for the sake of sturdiness. The 14" laptop weighs in at a heavy 2.442 Kg. At its tallest point, the height measures 3.2 cm. Its predecessor, the 8440p, was a tad light at 2.363 Kg. The base unit is stiff as a board. Unless you can tear a phonebook in half, you won't be able to bend the base unit at all. We didn't manage to dent in the palm rest or base plate either. A unique impressive point is just how firm the display lid is. We barely managed to bend it at all, and even then only at the corners. Even when poked and prodded hard, the display lid doesn't dent, even for a second. This incredible level of sturdiness can be attributed to the materials HP chose to use in making the 8460p. The display lid as well as the top and edges of the base unit (where the ports are located) are made of brushed aluminum. The surface feels cool to the touch and is scratch-resistant. The display hinges are made of real metal. The hinges cling tightly to the base unit and pushing on them doesn't make them move the slightest bit. They hold the display lid tightly in place. Thanks to the base unit's heavy weight, you can open up the laptop with just one hand. The wide silver button to unhook the display lid at the front lets the display lid pop up a bit. The resulting crack between the display lid and the base unit is large enough to tilt the display lid up with just your thumb. Instead of struggling with two spring-loaded switches at once to get the battery out, it falls out practically on its own after pulling on just one switch. The base plate can be removed without touching a single screw. Just give the second switch next to the battery a good pull to the right and the base plate comes loose. If you're worried about the base plate coming off too easily, there are screws included with the laptop you can use to lock it in place. Professionals know that a docking port and a variety of other ports is a must. The 8460p really delivers in this regard. Among the ports included is the modem port(RJ11), DisplayPort (no HDMI), FireWire (i-Link), USB 3.0 and eSATA. 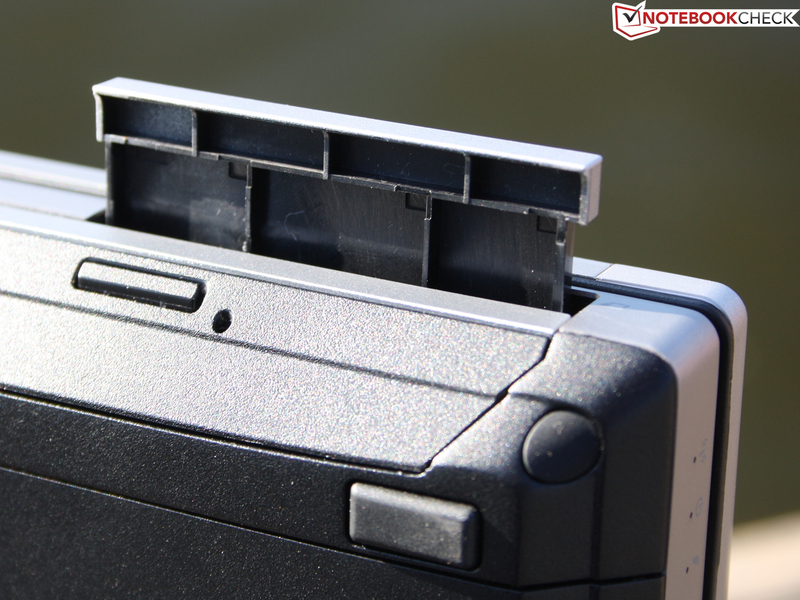 For special ports we have the ExpressCard54 slot, which allows you to insert various adapters for other ports. We really like the placement of the VGA, Ethernet and modem ports at the back. The VGA port (D-Sub) no longer has the screw holes to allow the cord to be secured to the port by screws (see previous 8440p), which makes moving the laptop around a delicate matter when attached to a VGA cord. 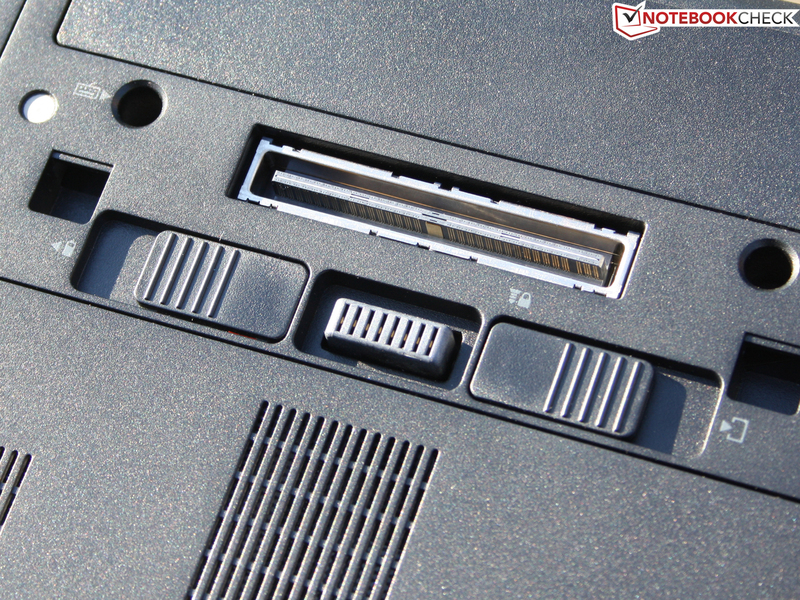 There are two card readers: For memory cards (SD, MMC) found under the left USB ports and for Smart Cards (PC/SC) at the right side under the audio ports. Smart Cards are login cards that restrict use of the computer to those who have the right card—used commonly for large-scale IT and security systems. We have here speedy Draft-N wifi (WLAN 802.11bgn) gigabit Ethernet as well as a Bluetooth module, which is of the dated 2.1 version not the current 3.0. The wifi card and bluetooth are not combined as is typical, rather the Bluetooth module is found at the front, which likely makes the Bluetooth signal easier to pick up. For using a mobile network via UMTS, you have to choose the 8460p LG746EAconfiguration. The model we reviewed only has an unoccupied Mini PCIe slot (incl. antennae) and a SIM card slot under the battery. HP doesn't skimp on security. The fingerprint reader, the Smart Card Reader and the spill-safe keyboard (liquids leak out through the base plate) are the visible elements. 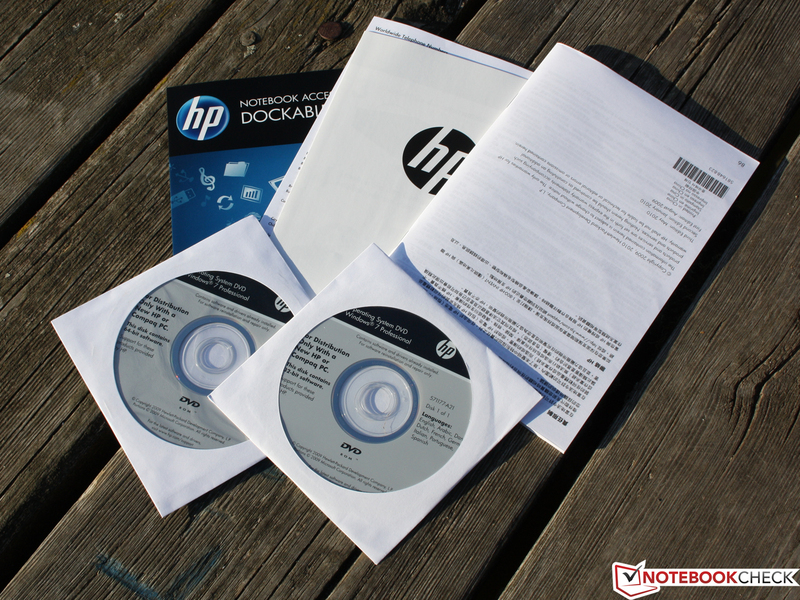 The HP ProtectTools constitute the software side of things. HP Disk Sanitizer, hard drive encryption, Credential Manager (passwords) and File Sanitizer (deleting without leaving behind a trace) are the big selling points. The TPM Embedded Security Chip 1.2 allows for "Central Management", i.e. remote access and repair is possible (Internet, LAN). As far as BIOS goes, you've got lots of options such as password protection (Enhanced Pre-Boot Security). 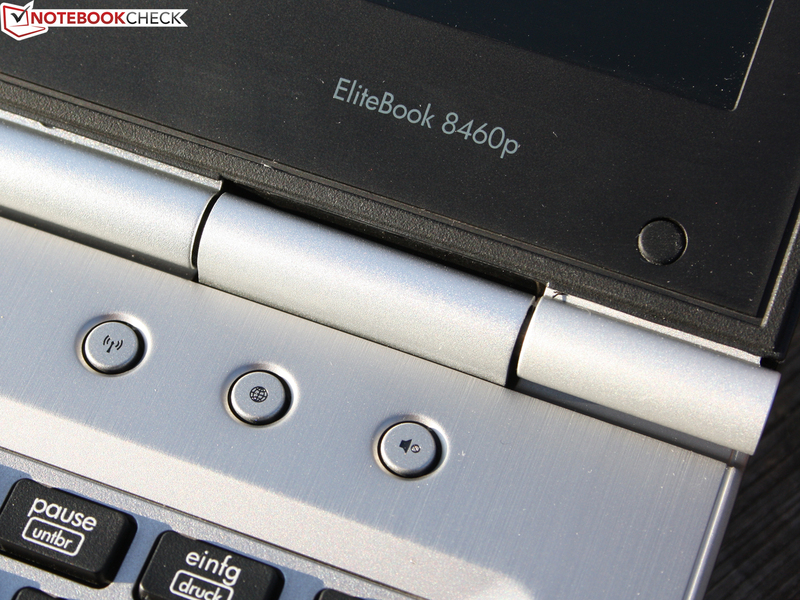 All the EliteBooks come with a recovery disc (for Windows 7 Professional—32 bit or 64 bit depending on your version). If you don't want the included Norton software, you can get rid of it by unchecking those items on a list that comes up the first time you boot up. If the constant hooking up and unplugging of external devices gets on your nerves, you might want to invest in a docking station: 120W Advanced NZ222AA (retail price 180 Euro). The station includes a SATA slot, e.g. for inserting a hard drive. On top of that you get 6 USB ports, 2 DisplayPorts, 2 DVI ports and an eSATA port: now that's a lot of potential peripheral devices! 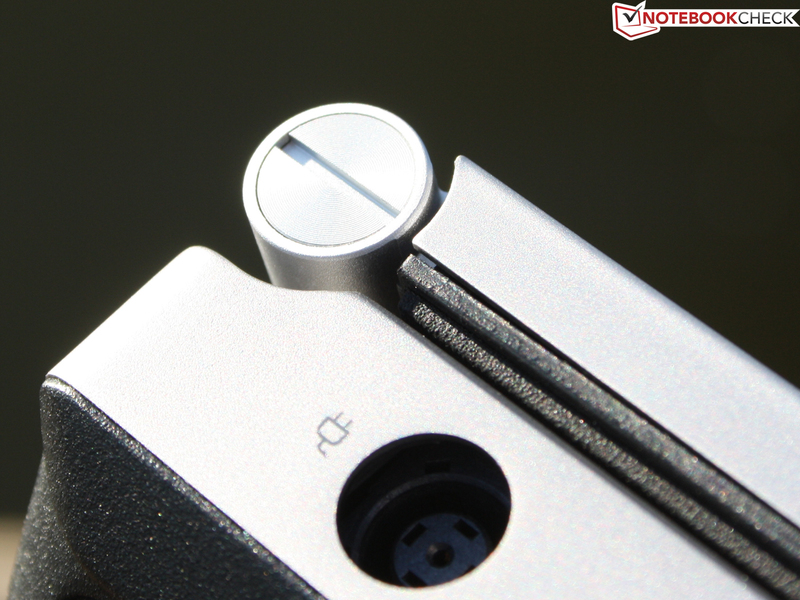 The docking station is also compatible with the 8440p and 8540w of the previous generation of EliteBooks. But that's not all. The optional 9-cell battery slice (XX6XB/P/W, Li-Ion, 8.850mAh, 150 Euro) extends the battery life and can be hooked to the battery dock, located on the base plate. The primary battery remains in place, meanwhile. The HP 8460p comes with a limited warranty for 3 years. The warranty only covers the battery for up to 2 years. The keyboard is in no way flimsy, which makes for firm keystrokes. Some might find it takes too much effort to push in a key, while others will like the resistance and crisp feel of each keystroke. The spacing between keys isn't quite as large as on a desktop keyboard, but the keys themselves measure the same width: 15mm. The keys have a moderate depression depth and keystrokes feel very crisp. The arrow keys no longer stick out below the bottommost row of keys but are still easy to feel out without looking thanks to the slight concavity of all the keys. This arch in the keys means you hardly ever hit the wrong key. There's no dedicated number pad, but the page up/page down as well as home/end keys are indeed found at the far right. Those accustomed to a number pad need only hold the Fn key and use the keys marked with a number in a box. 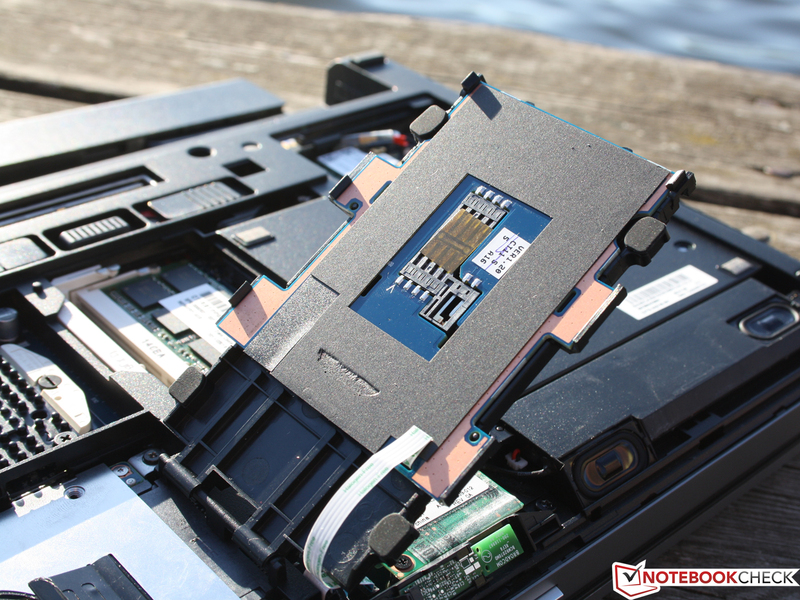 Depending on your preference, you have the choice of whether to use the touchpad or the trackpoint, which HP calls the Pointstick (Synaptics TouchStyk V2.0). 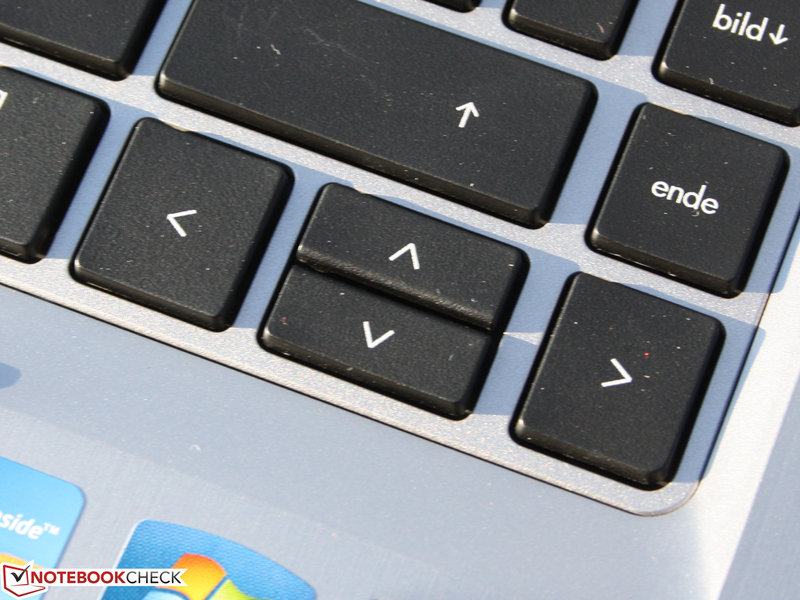 The two pointstick buttons are found under the space bar. All the "mouse" buttons are made of a hard rubber and have a very long depression depth—which combined with their silent clicks makes them very comfortable to use. Since you have to press the keys so far in they leave a kind of flimsy impression, but the quickness of use speaks for itself. The Touchpad is a good deal bigger than that of the previous generation 8440p (110 mm diagonally, as opposed to 80 mm before) and picks up input all the way to its very edges. Vertical and horizontal scroll bars are on the touchpad, although they are turned off by default. The Synaptics Luxpad V7.5 supports all the usual multitouch gesture. It's not a called Luxpad for nothing: it has a small sensor at the left that recognizes when a hand is laying on top of it and deactivates the touchpad. Alternatively, tapping the sensor manually deactivates the touchpad. 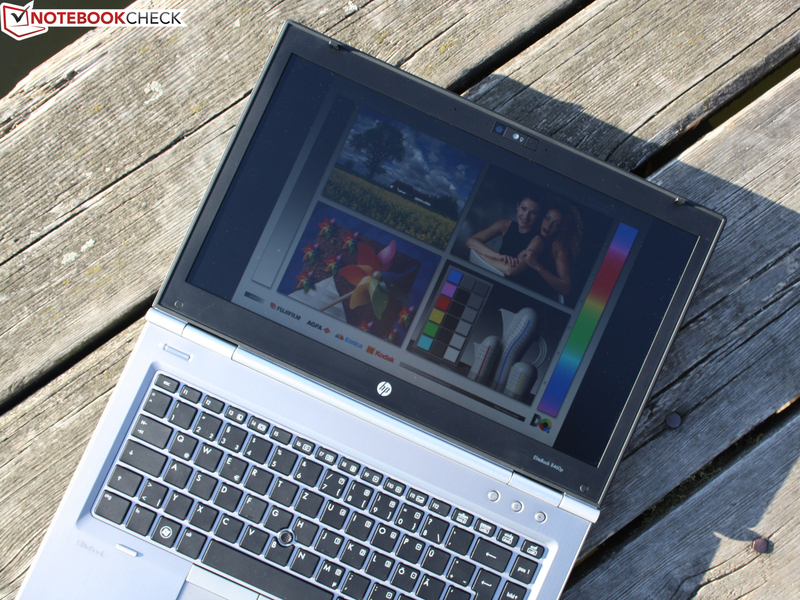 The WXGA++ display on the EliteBook 8460p has a resolution of 1,600 x 900pixels, making for a fine picture. This panel (model number unknown) fortunately has a matte finish to it which prevents irritating reflections from popping up on the screen, which make it perfect for office work. Its low screen contrast of 163:1 is, however, not ideal for making pictures appear as vivid as they could be. Moreover, the resulting black level of 1.24 cd/m² (measured at max screen brightness) makes small black text and tables look a bit gray and sometimes hard to read. The color space (the colors that can be displayed on this screen) doesn't nearly measure up to that of an sRGB display (standard reference), making the screen here just about on par with that of a typical consumer laptop. Below, you can see a side-by-side comparison of the our screen's color space next to that a of a Dreamcolor display (8740w). 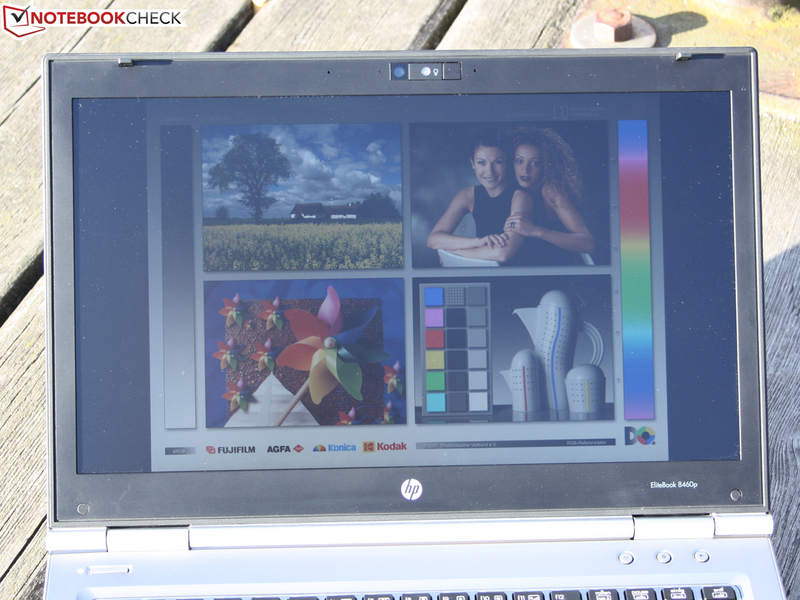 Some of the EliteBook Workstations come with a Dreamcolor display (e.g. 8560w). A nice feature is the ambient light sensor, which measures the surrounding level of brightness and automatically adjusts the screen brightness accordingly. This actually works really well. In direct sunlight, the sensor sets the screen brightness to max. For the following measurements, we turned off the automatic brightness adjustment by pressing Fn+F11. The average luminance came to 195 cd/m². 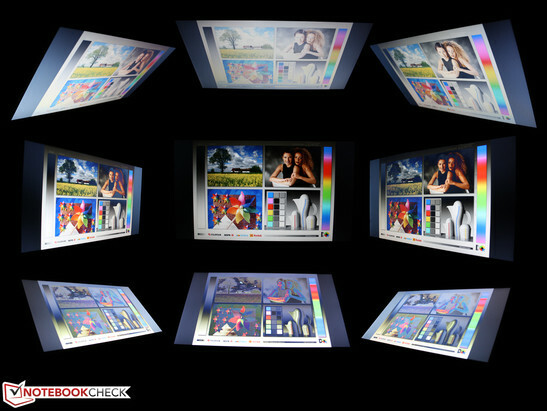 We found the screen was very evenly lit at 93%, the most luminous spot measuring a bright 202 cd/m². The matte finish of this 14" screen makes it usable outdoors. 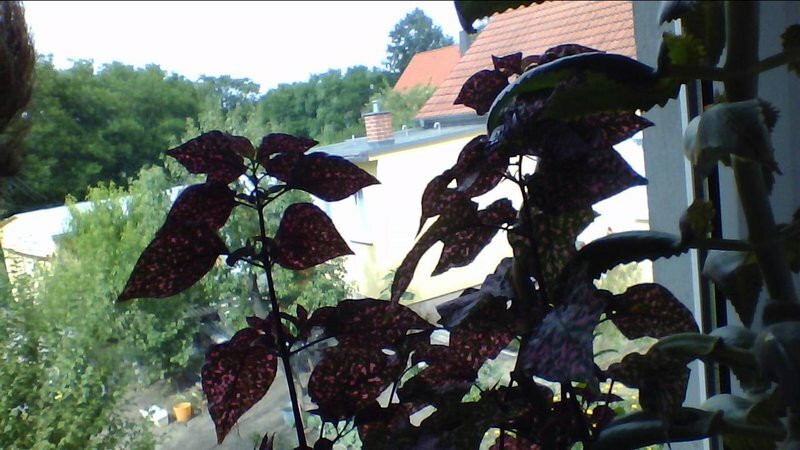 In direct sunlight, however, we quickly noticed that the screen is still not bright enough. What's more, the range of viewing angles is incredibly limited in this scenario and colors soon start to look faded when looking at the screen from the side. This means, the 8460p is not the perfect companion for a trip to the park or on the terrace of a cafe. The matte screen, nevertheless, keeps most ambient light from turning the screen into a mirror. So that colors don't appear distorted or screen contents darker, a broad range of viewing angles is a must when more than one person is looking at the screen from the side or from different heights at the same time. We really expected more from a laptop in the "elite" class of business notebooks. This screen really cannot distinguish itself here from that of typical consumer laptops. Looking at the screen from the left or the right at angles of up to 45º, the colors remain undistorted, but beyond that they start to look inverted very quickly. 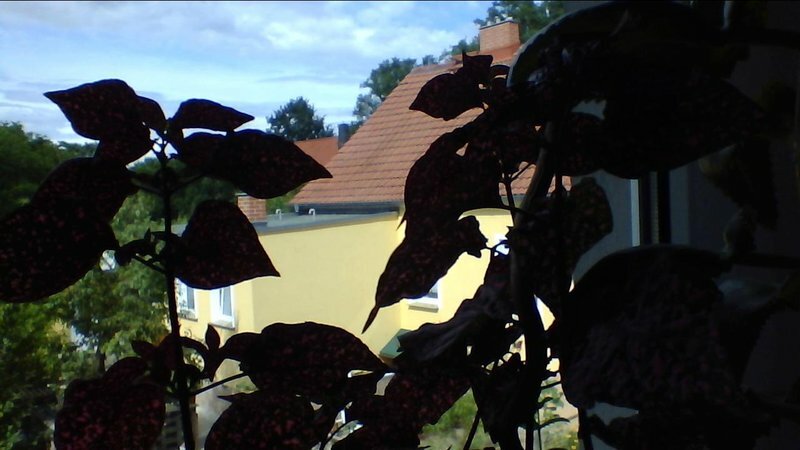 Looking at the screen from an angle from below and off to the side, the picture remains undistorted for up to 40º. However, looking at the screen directly from above or below, we start seeing some distortion as early as 15º. This EliteBook just can't offer the color stability that an external monitor can. We were first acquainted with the Intel Core i7-2620M CPU (2x2.7 GHz) in our review of the Apple Macbook Pro 13 inch (2011-02 MC724LL/A). The processor is the fastest of the dual-core Sandy Bridge CPUs first released in early 2011. The CPU offers all the special functions of the Sandy Bridge architecture including Hyper-Threading for more efficient use of multiple cores and Turbo Boost 2.0 for automatic overclocking (3.4 GHz). See the Specs List for the Intel Core i7-2620Mfor more details. The AMD Radeon HD 6470M (1,024 MB DDR3) is the dedicated graphics card here. This CPU/GPU duo has 4 GB DDR3 at its disposal (1 x 4,096 MB). The package would, of course, be incomplete without the 320 GB hard drive from Hitachi (7200 RPM). The Cinebench R11.5 CPU test (Multi, 64 Bit) awards our processor a high 3.1 points. This is a great deal higher than the previous generation i7-620M (2.5; HP 8540w) managed to earn. 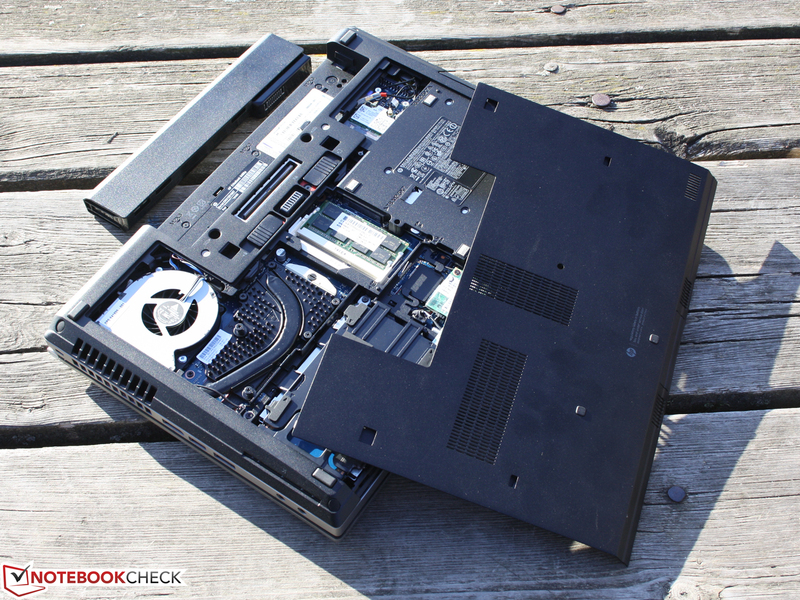 The Dell Latitude E6520 i7/FHD and Dell Vostro 3550—equipped wit the same CPU—achieved the same score. Only smaller laptops can't manage such high scores on account of their cooling systems, that is, they can't make optimal use of Dynamic Frequency (Turbo 2.0): Apple Macbook Pro 13 inch 2011-02 MC724LL/A (2.6 points) and Dell Vostro 3350 (3.0 points). Instead of choosing a Core i7, the wise investment would be an SSD (in place of HDD). The workflow speed you experience as well as overall score in PCMark Vantage would then jump even higher. 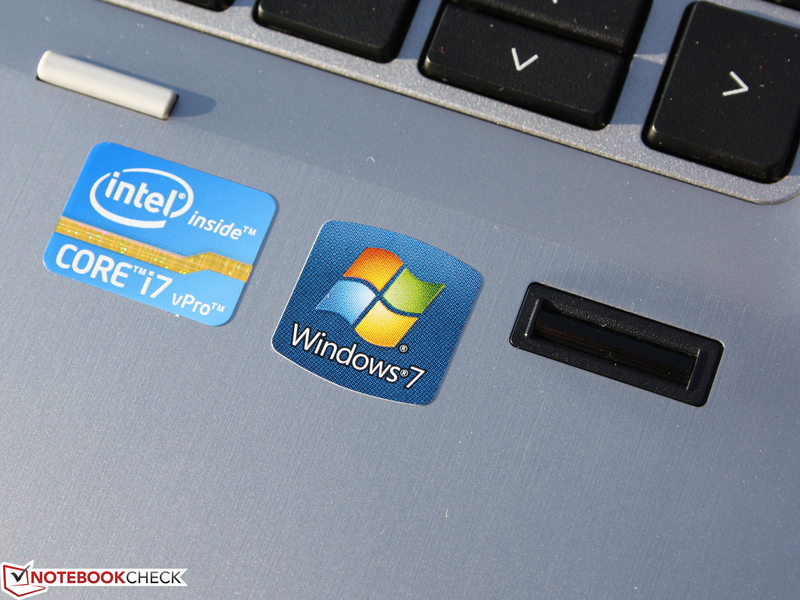 This system performance benchmark awards the EliteBook 7,734 points. The Schenker XMG A501 equipped with the same 2620M CPU and a GeForce GT 540M GPU, managed to squeeze out an astounding 14,153 points. Compared to other laptops with the same hardware configuration, the 8460p ranks in just below the Dell Vostro 3350 (8,354) and the Latitude E6520 i7/FHD (8,548). 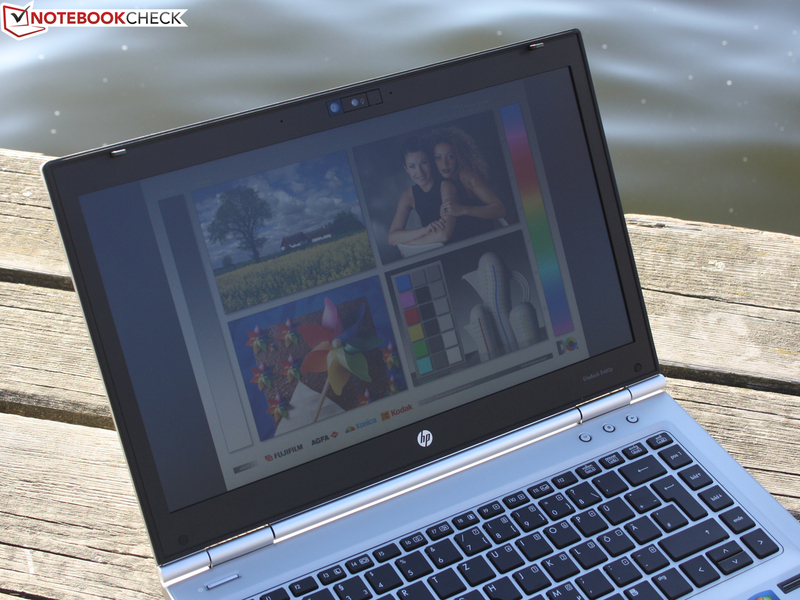 The new system benchmark PCMark 7 gave 1,994 points to our EliteBook. This is virtually the same score as the Dell Vostro 3350 (2620M) achieved, even though it has a more powerful HD 6630M GPU. The popular 2630QM quad-core CPU barely results in a higher 2,157 points (Fujitsu Lifebook NH751, 2630QM, GeForce GT525M). The Radeon HD 6470M (1024MB) is a small DirectX-11 GPU marketed as a starter graphics card by AMD. The GPU indeed runs at 750/900 MHz (core/memory) exactly as AMD states. The GPU doesn't limit itself just to games, rather it's quite useful in other applications, utilizing 160 stream processors via DirectX 11, OpenGL 4.1, DirectCompute 11 or OpenCL for its calculations (Magix & CyberLink products). For details, see the specs sheet of the HD 6470M. The gaming performance is not exactly first-rate. 3,674 points in 3DMarks06speak to entry-level gaming capability, a good deal below the 4,988 points earned by the HP Elitebook 8560p-LQ589AW or the 4,839 points the Dell Vostro 3350 (2410M) managed, both equipped with the same GPU. We performed still more tests like 3DMark11 (P595), Heaven 2.1 (5.7 fps) and 3DMarkVantage (P1665). The scores of similar laptops also come out considerably higher here: P634 (Vostro 3350, same hardware), 7.2 fps (Vostro 3350; 2410M) and P2339 (Vostro 3350, same hardware). In short, the graphics performance of our EliteBook 8460p ranks in worse than similar devices (GPU). The culprit here is throttling of the GPU (core: 400 instead of 750 MHz) and CPU. Find more details in the "Temperature" section. The fast-spinning hard drive (320GB, 7200 RPM) brings about some high data transfer rates. The HDD score in PCMark Vantage comes to 4,022 points, a good average for a 7200RPM HDD. In the HD Tune benchmark (76 MB/s read) and Crystal Disk Mark 3.0 (88 MB/s read), the hard drive shows a good performance. Those interested in fast access only have one way to go, choosing the (128 GB) SSD configuration (LG746EA). 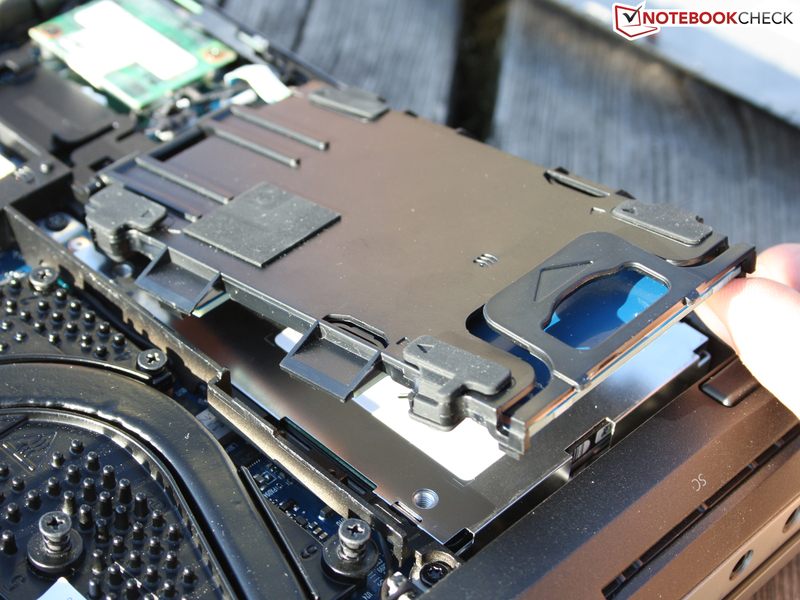 The HDD activity LED is located along the front edge of the base unit and is hard to notice since it's so small.